We are constantly striving to improve our product. 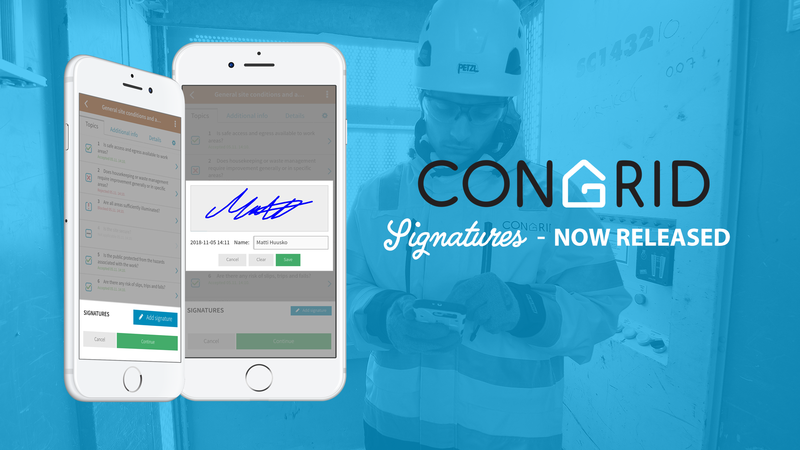 Our newest software update is Congrid Signatures. You can now sign documents during inspections without printing. Make digital signatures during e.g. quality inspections, safety measurements. After finishing a document, the App asks if you want to get a digital signature from participants to it. The new feature is available free for safety measurements, quality inspections and Congrid memo. 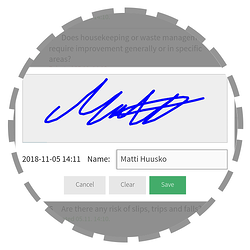 All inspection participants' signatures can be recorded digitally to the document. The App asks automatically for signer's printed name. Create comprehensive printouts on Congrid Live with digital signatures. 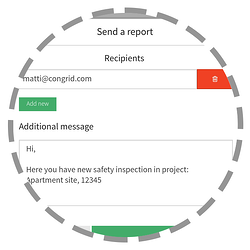 Finished quality inspections, safety measurements and memo reports can now be sent from the App - just add recipients' emails to your report. You can also write additional information to the report if needed. We are happy to tell you more about Congrid Signatures. Contact us at sales@congrid.fi to get more information.